The former eastern bloc countries have been slower than many other European nations to accept and embrace the fast food revolution. 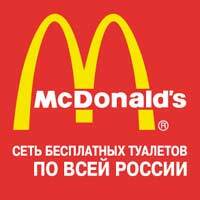 Being under communist rule for so long kept countries like Russia (the former Soviet Union) the Czech Republic and Hungary closeted away from some of the excesses of US style consumerism so when the first McDonalds went up in Moscow in January 1990 it was a turning point – perhaps the fact that at the time this restaurant was the biggest McDonalds in the world should have indicated that fast food was soon going to infiltrate eastern Europe as well as the rest of the continent. Although many of the Eastern European nations have their own diverse culture and their very own fast food favourites based on traditional cuisine, it’s fair to say that the global major players in the fast food world all have a presence in most eastern European cities, especially the ones you would expect such as KFC and McDonalds. Although enthusiastically embraced by Poland for years now, there seems to be a tide turning against fast food here now, with a discernible slow food movement attempting to usurp the favoured burger and fries with a more eclectic Polish cuisine. To push the slow food movement along, there are also TV programmes popping up which are extolling the virtues of traditional Polish food, and these are proving very popular. Despite this, Poland is home to three major fast food chains which don’t go short of custom, so it’s unlikely that any major cultural reform is going to be ousting the golden Arches from Polish cities just yet. As well as McDonalds you can easily find KFC and Pizza Hut in most towns. If you prefer to stick to the Poles own fast-food offerings, look for a restaurant serving zapiekanka. These are simple food – usually a baguette with a meat or cheese filling, topped with mushrooms and ketchup. Another delicacy is the kielbasa, or polish sausage, variations on which are made into hot dogs and sold across Poland and eastern Europe. Hungarians are getting worried about their own obesity issues, and the Hungarian government is said to be considering slapping a tax on junk food, much like the tax that’s been discussed by UK governments for years (and discarded as a bad idea). In addition to the usual fast food joints that you can find in Poland and elsewhere, there is a burger chain called Gusto Burger – an imitation of one of the big American burger restaurants. German fish restaurant chain Nordsee also has a presence in some cities, and McDonalds in Budapest is reputed to be one of the most elegant in the world! For proper Hungarian fayre, try the local fast food staple, the lángos. A basic, deep fried flat bread that’s made from potato dough. A lángos can be topped with garlic, sour cream, or cheese. They are absolutely huge and a great dinner choice if you’re low on cash and looking for a fast food fix to fill you up. The Ukraine likes to offer cheap, fast food and prides itself on being varied – the fast food offering in this country stretches to American and Russian dishes as well as its own Ukrainian cuisine. There are plenty of fast food chains to choose from on a visit to Kiev, where you’ll find the likes of McDonalds and local imitators of the burger restaurant, Chinese buffet style restaurants, potato houses and pizza places. Fans of Italian style food are well catered for Il Patio, the biggest Italian restaurant chain in the Ukraine. The restaurants serve pastas and pizza along with carpaccio, risotto and other Italian style treats. Dva Gusya is a good choice if you want variety, and fancy trying something a little more homely . Alongside the traditional Ukrainian borscht you can find other local dishes like saltwort, vareniki (Ukrainian ravioli), sausages, a selection of meat and fish options – some branches even offer menus with a French, Danish or Hawaiian theme!